Coincidences might not just be that – coincidences. What happens when people try to find reasons for things which are not entirely logical and under control? Is supernatural logical? This is a thrilling slice from the life of three flat mates studying at DelhiUniversity, who along with their seniors and friends are put under some extraordinary situations. From blood on the walls to ghosts scratching the walls, inexplicable incidences reach to a crescendo where even the most logical breakdown. 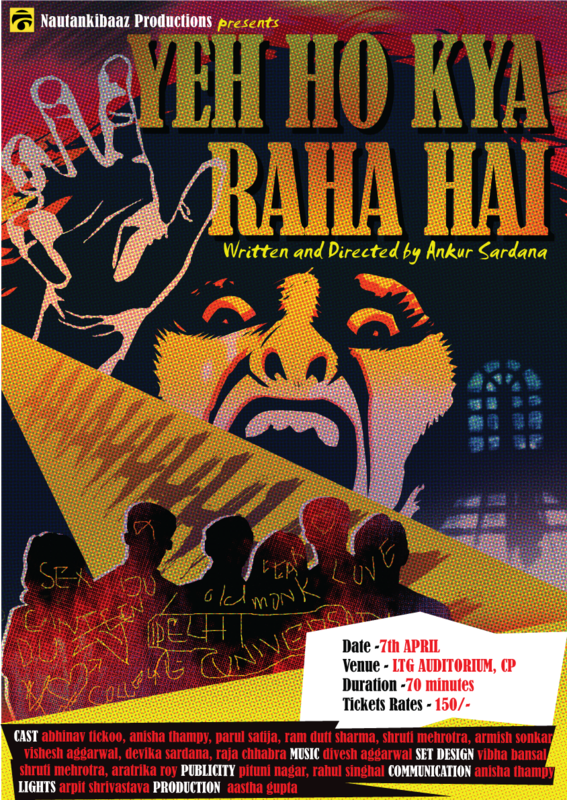 Venue: LTG Auditorium, CP, New Delhi. Previous Post Thank you dear audience ! Next Post dear audience, thanks once again !